371 S. Lake Havasu Ave. 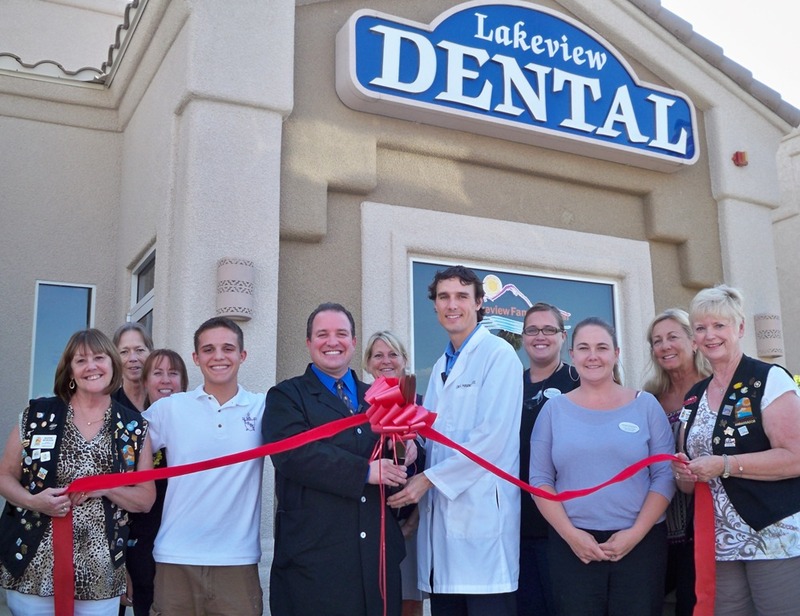 The Lake Havasu Area Chamber Ambassadors held a ribbon cutting ceremony for Lakeview Family Dental, celebrating its five year anniversary. Attending the ribbon cutting from left to right were Kathie Schuler, Debbie King, Cheryl Durica, Vincent Badalamenti, Dr. Peter Badalamenti, Sandy Morreale, Dr. Jesse Harker, Jennifer Masche, Tonya Ronningen, Karen Dale, and Kathy Ronningen. 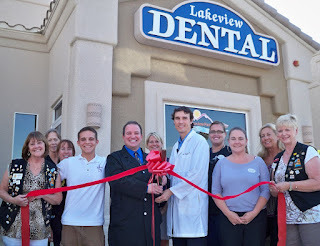 Lakeview Dental strives to provide the best experience possible to their valued patients. For more information contact them at 928-855-8333.